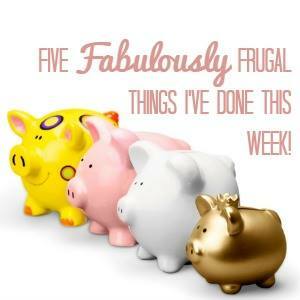 I have been a huge fan of Frugal Family’s regular Five Frugal Things series. Each week I have a read to see the little and not so little things that Cass and the family do to save money each week. It also gets me thinking about how I have saved money or how I can in the future weeks. Therefore Cass, Becky and I decided to turn this feature into a weekly linky. The three of us have very similar values and approaches to money saving. We like to live well as cheaply as possible. That means finding a great deal, upcycling something and stretching things out. However we do not go without. We like good things but we like the satisfaction of a bargain! I arrived at Tesco at 7pm between dropping Dylan to football training and Chloe to hockey training. 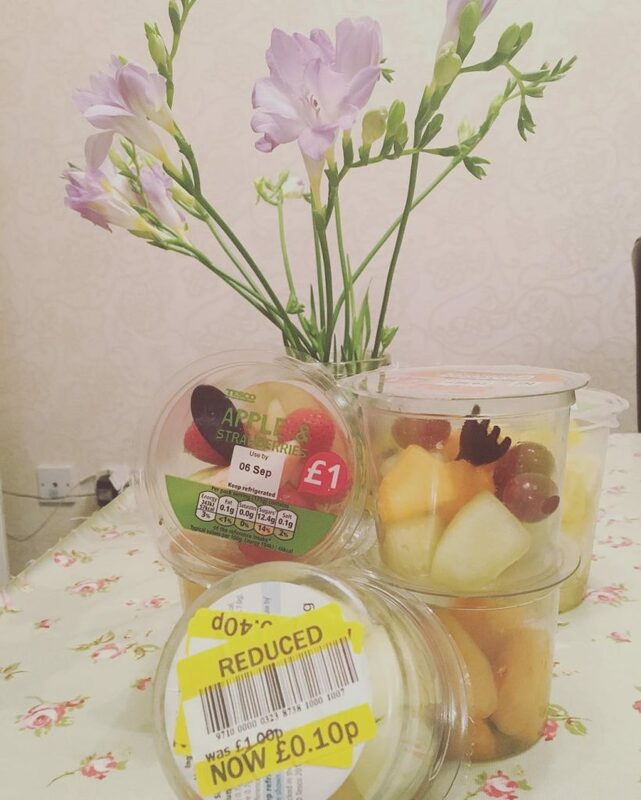 The massively reduced food was just being wheeled out and I picked up these fruit pots for just 10p each. They are ideal snacking pots for us all plus the kids like them for school. I have a favourite charity shop and I called in and found this fabulous jumper for Erin. It is so Erin and was in perfect condition. It will look fab over the winter with leggings. Charity shop bargain for Erin. She loved it and this is so her look with her leather jacket! I have a six year old with style! Lee spent the last day of the school holidays talking to Sky on the phone. After haggling for quite a while he was able to upgrade our Sky channels and get an overall price reduction! He got a great deal after persevering with the phone call. We bought Look magazine for £1 just to get the 20% off V by Very because we wanted some clothes from there! Our local Morrisons has had a refit and to please their customers during the slightly disorganised shop refit they gave out a free hot drink voucher with every sale. Over the course of the week I collected three vouchers and the children and I went after school for a free hot chocolate each instead of heading to our normal weekly treat at Costa. This easily saved me about £10! Oh I just adore your charity shop fin for Erin! 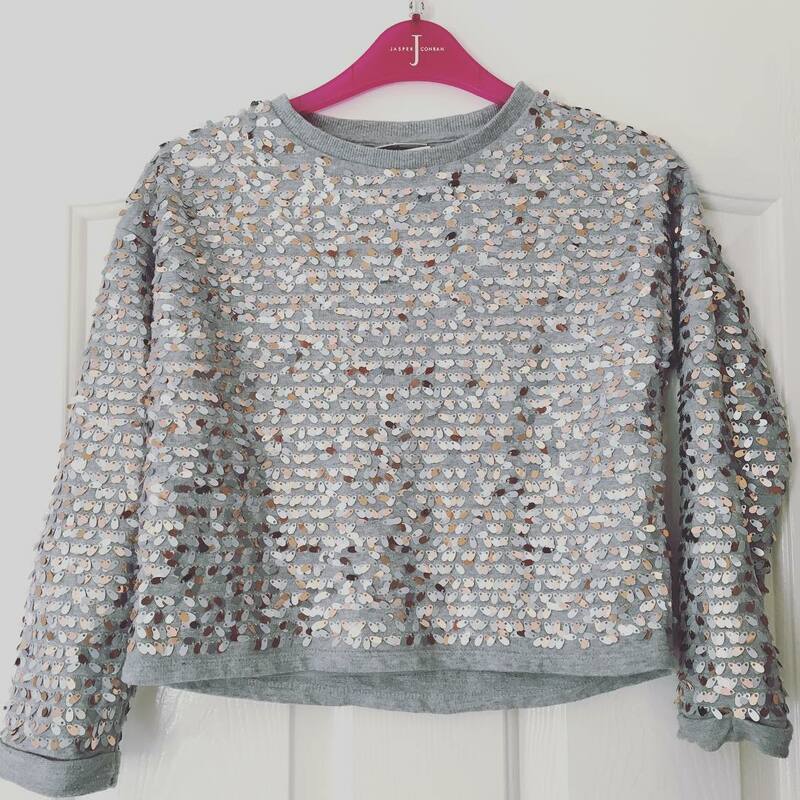 Such a beautiful silver top. 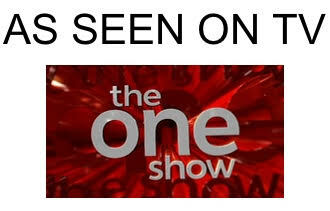 My daughter would love that too. This week, I ended up saving money on distinctly less glamorous sports kit! I love being Frugal, my biggest frugal thing is the use of ebay.